Download the programme for the conference on the Conftool web page for this conference. The conference proceedings containing all papers to be presented has now been published online through IOP Conference Series. The proceedings are listed as Volume 90 of IOP Conference Series: Materials Science and Engineering – an open access journal from IOP Publishing. Compressors are the key components in petrochemical and natural gas industry processes. Their performance and reliability are therefore very important. The present status of their design and operation and how they are applied in China in these industries are therefore reviewed and the relative merits of turbo, reciprocating and twin screw machines to meet the market requirements for different types of compressors in the process gas industries are discussed and analyzed. Research in and the development of high performance compressors in China are discussed and recent results in efforts to improve efficiency, stability, on line monitoring and fault diagnosis will be presented in detail. Dr. Liansheng Li received his PhD degree in engineering from the Xi’an Jiaotong University in China in 1995. Then he became a professor of Xi’an Jiaotong University in 1998. His main research work in university was in compressors and their systems. He participated in many research projects on compressors with both government and industrial funding in China and abroad and in 1999-2000. He attended the City University London as a visiting scholar. 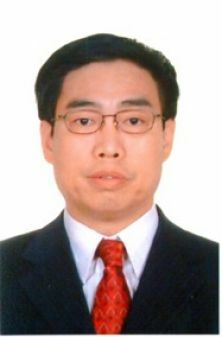 Now, He is vice director of State key Laboratory of Compressor Technology, deputy chief engineer of Hefei General Machinery Research Institute, member of HCFCs replacement technology expert committee of China industry & commerce refrigeration, and secretary of ISO TC86 / SC4 (refrigerating compressor). His current focus is on the improvements of performance and reliability of process gas and refrigerating compressors. His present research interest are in high efficiency operating control systems for process gas reciprocating compressor and the control stability of small flow rate centrifugal compressors and he is the author or coauthor of more than 150 peer-reviewed publications. Today, Low Global Warming Potential Refrigerants are being evaluated, optimized and applied. Higher pressure refrigerants, refrigerant blends and new chemical families of refrigerants are candidates. Compressor designs and system components are being evaluated to deliver the desired capacity, efficiency and reliable performance for intended applications. The first step is the selection of a Refrigerant, based on Environmental Properties, Heat Transfer properties, Availability and Cost for the application intended. Once the Refrigerant family is chosen, System Chemistry between the Refrigerant and Lubricant families are scrutinized for optimum miscibility and solubility. This directly affects the phase separation between the 2 liquid phases and reduction of viscosity. The entire Operating Envelope is taken into account to prevent “oil return” and “incorrect viscosity” disasters. Compatibility aspects between chemicals and materials of construction (metallic and polymeric) have to be verified to avoid malfunction and failures in use. Furthermore, System Chemistry provides guidance in the selection of lubricant additives, particularly essential in the boundary lubrication regime of the Stribeck Curve. System Components malfunction due to contaminants circulating in systems. Degradation of Heat Transfer Performance and expansion devices are examples. Advances in Analytical Chemistry techniques enable the Compressor Manufacturer to analyze the cause of failures and avoid specific families of chemicals in the processing of surfaces and additives. Copper plating, formicary corrosion and elastomer swelling are examples. This presentation explains how lubricant selection and system chemistry aspects are applied to achieve the desired goals. 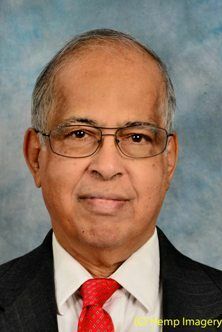 Educated both in India and the United States Mr Sundaresan has over 40 years experience in the general engineering and compressor industries and was a world leader in the transition to chlorine free refrigerants and POE lubricants. He is the recipient both of the Hall Thermotank Gold Medal in the UK and the Distinguished Service Award by the AHRI in the USA. He is currently the CEO & GM of Sundaresan Consulting Services, LLC giving specialize advisory services to the compressor industry on refrigerant working fluids and lubricants. We welcomed guest speaker Professor Chris Atkin to speak at Monday's Conference Dinner. 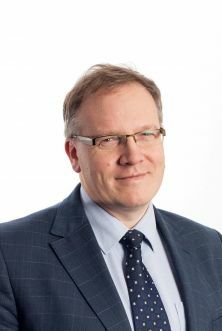 Chris Atkin has been Professor of Aeronautical Engineering at city since January 2008, having previously held the position of Technical Manager for Aerodynamics and Aeromechanical systems at QinetiQ plc, and having started his career at British Aerospace commercial Aircraft Ltd. In May 2015 Chris became President-Elect of the Royal Aeronautical Society. Following on the success of the 1st forum on CFD in Positive Displacement Machines organised at the 2013 Compressors Conference, The University will organise a second forum on Computational Fluid Dynamics (CFD) in Positive Displacement Machines (PDM) with the emphasis on compressors. This forum/course is dedicated to advanced topics in the application of CFD to PDM for industrial use and research. Topics to be covered include: grid generation, advances in CFD methods, multiphase and turbulence modelling, validation of CFD predictions, CAD integration and Industrial applications. 2) Evaluation of leakage flows in clearance gaps of rotating positive displacement machines. Laboratory test results are available for both cases. CFD vendors, industrial users and researchers are invited to participate in the challenge by attempting to calculate these cases and to present their results at the 2nd forum on CFD in PDM machines. The Forum/Short Course will be held at the Northampton Square site of City, University of London prior to the 9th Conference on Compressors and their Systems on Saturday 5th and Sunday 6th September 2015. DOWNLOAD THE SHORT COURSE SCHEDULE.